Our transformation and positioning strategy is based on an integral, dynamic, challenging and healthy work environment!  Camargo Corrêa Infra invests in Highly qualified professionals, who are committed to our aims of safety , innovation, and technical excellence, which lead all our actions. We provide career opportunities and encourage self development so that each professional builds his / her own evolution. Our proposal is to be a company in which people feel inspired to achieve the best and thus contribute to transform the reality of next generations. We adopt meritocracy as a model to recognize our talents. Management practices are developed to value each professional contribution and that also allows equal opportunities within the company. Moreover, we have competitive benefits that keep a balance between personal and professional life. Our commitment with life is our top priority, with programs organised to guarantee that our professionals return to their families with the same physical integrity as they left to work. 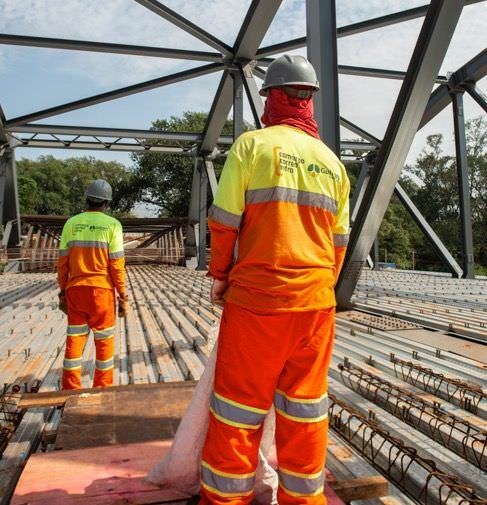 We work hard abiding by the highest ethical standards to provide solutions of sustainable infrastructure that contributes to transform reality in the next generations. Execute our customer projects in a transparent, ethical, innovative and responsible way, contributing to the economic development. Be a referent of integrity, sustainability and excellence. If you have felt identified, follow us in Linkedin and social network.